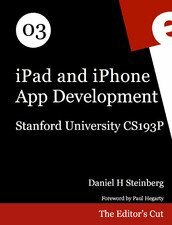 The Stanford University course for iPhone Application Development (CS 193P) is a really great course and one all new iOS developers should check out. ? This is the official companion text for the popular iTunes U series from Stanford University taught by Paul Hegarty in Fall 2011. The book is full of code examples and animated walkthroughs designed to teach experienced programmers how to write iPad and iPhone applications. The book is available from the Apple iBookstore. ?The only downside of this book is that it’s only available in the iBookstore from what I can tell. ?Which means, I have to read it on my iOS device not on my Mac where I might be coding. ?Come on Apple, get with the program here. I have quite an extensive list of podcast subscriptions in iTunes these days with much of my interest on iOS and Mac development. ? Considering how iTunes is Apple, there are a lot of podcasts that have just stop producing content and gone away. ?There are a comparable few podcasts dedicated to iOS. I spend time looking for new podcasts and revisiting old ones trying to find ones with good content and who produce on a fairly regular basis. ?I wanted to share my favorites with you, hopefully to help them keep producing. These podcasts are developer podcasts but there really are two audiences; some are focused on the technical details of development while others are of interest to developers running a business around iOS and/or Mac software. ?I’m sure there’s overlap here. I think each and every one of these are great and I know you will find value in them as well. Core Intuition is hosted by Daniel Jalkut, developer of MarsEdit and Manton Reece. ?This podcast had been on a bit of a hiatus with sparse updates over the past year but recently they have been producing regular episodes. ?Mainly a podcast produced by Mac developers with little iOS discussion, the topics are applicable to most developers in the Apple community. Episodes run about 45 minutes and usually focused on a handful of topics like the Mac App Store, sandboxing and dealing with customers. ?Top notch for sure and well thought out dialog. This podcast is relatively new and hosted by Andrew Pontious and Wolf Rentzsch. ?They discuss topics appealing to both Mac and iOS developers ranging from Core Data to Sandboxing and the future of developing for Apple products. Episodes are about 45 minutes in length and pretty rich in technical content. ?The podcast started in May and they already have 8 great episodes out as of the time I write this. Wolf is the creator of Mogenerator and other tools. Developing Perspective is produced by solo developer David Smith?who is an iOS and Mac developer. ?Episodes run about 15 minutes and talk about very specific topics that all Apple developers think about one time or another. ?These include the path to independence, developer’s machine and going to WWDC. I discovered this podcast a short time ago and it is one that I anxiously await new episodes. ?It seems every episodes resonates with me. ? David has a great radio voice too, calm and soothing. This podcast is run by Steve “Scotty” Scott and company have been doing this podcast for what seems like an eternity. ?Most of these shows run about an hour and cover various topics like open source, Apple (of course) and interviews with various developers known in the Mac community. ?Many of these interviews cover specific topics the developer is very familiar with. Listeners can tune into the live show and participate in the chat room as well as find updates on Twitter. ?The episodes are always entertaining and full of great information. Saul Mora is the creator and producer of these great interviews with Mac and iOS developers as well as people funning Apple-focused software companies. ?The podcasts run almost an hour and Saul knows just the right questions to ask and knows enough about the technology to make really useful insights. Recent episodes include chats with Jamiee Newbery from Black Pixel while on a plane. ?Every episode is different and every episode contains valuable insight. I met Saul at CocoaConf in DC a short time ago and he is a great guy doing these great interviews. Marco Arment and Dan Benjamin host Build and Analyze, which is a bit of a different podcast. ?Marco runs Instapaper and much of hour plus episodes discuss trials and tribulations of running Instapaper. ?The insider view is really helpful and I pick up a lot of great tips. I have to warn that sometimes, just sometimes, they get off on long tangents about coffee, cars and kids. ?Although not directly applicable to running a application business, it can be entertaining. Ben Scheirman is .NET developer turned Ruby on Rails and iOS developer who created NSScreencast, which is not technically a podcast, but I thought it would add some good value to this list. ?Although not free, at $9 a month, it is bargain. ?Each screencast goes into detail about how to use a particular feature of Xcode or of iOS development in general. Topics such as how to implement Pull to Refresh, using Storyboards, Provisioning to HTTP caching and setting up a CI server. ?Each episode ranging from 10-30 minutes, perfect for those suffering from short attention span. I listen and watch each of these and love them all. ?I’ve learned a ton about he iOS and Mac developer community by just listening. I have been using an iPod or some such device for many years now. ?Today I use an iPhone 4 to listen to podcasts during a daily hike and have had a hate-hate relationship with every set of earbud or earphones, whichever you prefer to call them. It seems people use the earbuds that are shipped with every iPod and iPhone, but my personal experience with them is less than acceptable. ?They often fall out of my ears at one point or another, I feel I need to be careful how I move or I risk one coming out. ?Apple has some great designs, these are not one of them. I decided to go with an in-ear earphone with the hopes seating in the ear canal would stay better, give better sound and get me away from Apple’s ear buds for good. My requirements seemed really simple, let me listen to podcasts, stay in my ear and let me take/make calls on my iPhone. ? The first set of new earphones I tried were the Logitech Ultimate Ears. ?These came as a recommendation so I figured I would give them a try. ?Upon receiving them I immediately thought how great the design was and trying them for fit, they felt great. ?Listening to a podcast with these was amazing, great noise-cancelling sound that was above and beyond what I expected. The real test was using them on a hike. 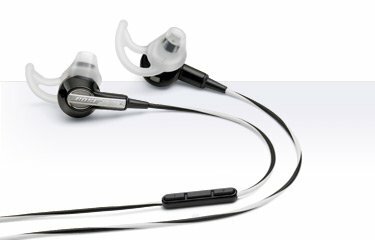 ?At first these felt really good and I thought my problem was solved but as I started to sweat the very soft silicone earphones started to get slippery and nothing I could do would make them stay in my ears. ?As I dried them off and reseated them, as I walked I could feel them slowly moving and eventually they fell out. I did give these a fair shake over the next couple weeks, trying different things which included trying different size of the silicone adapters themselves but nothing worked, sweating eventually caused the earphones to dislodge. I decided to ask around on Twitter again and got a single suggestion for Bose earphones. ?Describing my dilemma the person said their wife used them and were very happy with them. ?Unfortunately, they are pretty expensive at $130 but my frustrations seemed larger. ?I ordered a pair and at first site they look pretty strange. The model I ordered were the Bose MIE2i Mobile Headset. ?You can see from the image that they are different looking. ?They have a very unique way of partially going into the ear canal as well as hooking to the ear itself. ?Very easy to put in and the Bose sound is incredible. ? I have had these earphones for about 2 months now and use them every day. Not once has one side come out or even remotely felt loose. ? The sound is the best I have ever experienced and the controls work fantastic. ?I have had several phone calls with them, both receiving calls and making them and they just work. So, for anyone looking for a truly great set of earphones..look no further than these. ? I wrote a few months back about dumping the iPhone in favor of an Android phone running on Verizon, not because I didn’t like the iPhone but because I despised AT&T. We hear a lot about how fast the adoption of Android is and how it is taking over as the #1 mobile operating system. ?Sure, when carriers are signing up to sell as many Android handsets as possible it’s no wonder Google claims the adoption rate is so high. ?One thing the numbers don’t take into account is quality, we need to remember that quantity does not equate to quality. The Droid X running Android is quite a bit slower than the 3GS. ?Remember, the 3GS hardware is pretty old. ?Applications are not nearly as responsive as the iPhone. The Android applications I used crash quite often. ?I don’t want to name any but suffice to say, very similar applications with some being from the same company, crash more often than is acceptable. 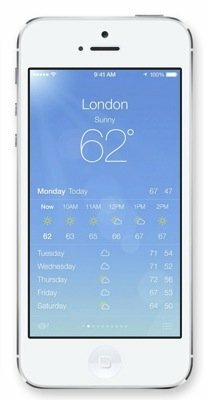 The aesthetics of the iOS applications are far and above any Android application. ?I struggle to find an acceptable beauty in any, with the slight exception of the official Twitter application. Applications on Android have an inconsistent user interface, maybe because of the lack of quality control going into the process of putting something in the app store. 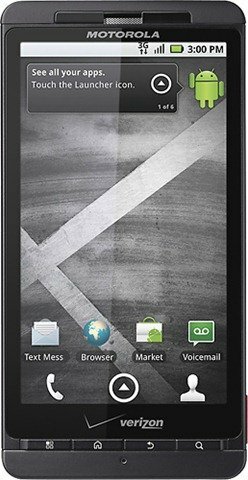 After using the Droid X for these months I can safely say it was a suffering experience. ?I grew to a real dislike for the device and often times hoped I would lose the phone or have it fall to an untimely death just so I had an excuse to replace it. 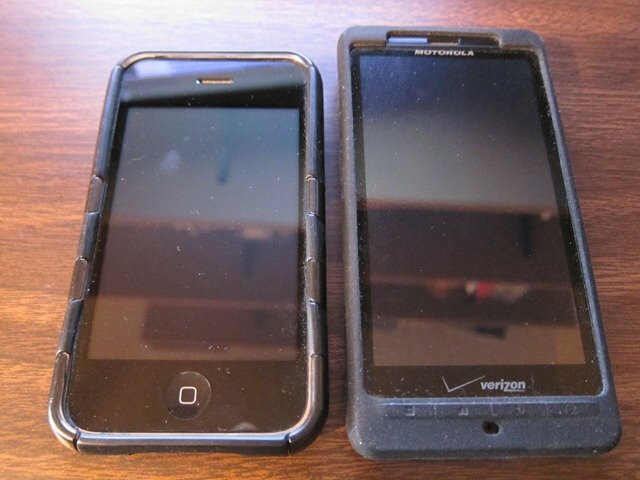 I am happy to report that I have come to my last ounce of patients with Android and am returning to the iPhone. ?Oh how I have missed you. ?I had hoped to wait until the iPhone 5 was available but resolved that life is too short to have to have a sub-par mobile experience. Google is building Android not so they can make great mobile devices and sell them to consumers. Rather, they are making them for these two simple reasons: (1) to disrupt Apple?s growing dominance of mobile devices, both so Google doesn?t have to rely on Apple for access to their users and to eliminate their paid-for application model; and (2) so Google can control the mobile industry and thus secure advertising from it. It makes a lot of sense and is brilliantly clear but a shame. ?I believe if the goal is not to create a great mobile platform but rather just a conduit for advertising then it will always be sub-par. So to my readers, I am not writing this post to complain, but to warn. ?I write this from the standpoint of someone who has given two popular mobile platforms a fair shake and come to the realization how different they are. ?Different can be good but it can also be a step backwards, Android is certainly a step in the backwards direction. ?The grass is not greener on the other side of this fence, there are just seeds on this other side. ?It’s young and will likely evolve but it has a long way to go. ?Appreciate your iPhone as I will, which is out for delivery and will arrive today. 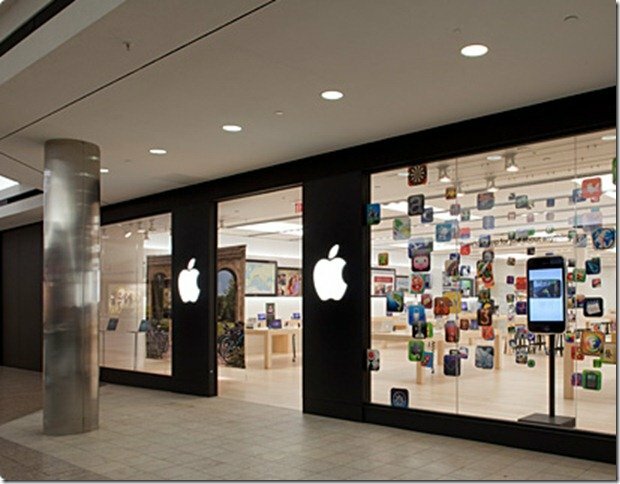 I recently visited the Apple store in Farmington, CT because I was having a problem with my iPhone 3GS.? I own many Apple products and happy with them all. The area we live is not located near any Apple store so I buy my Apple products from the Apple web store. Up until recently, have had no problems with any of them, this was the first trip to an Apple store. I am not trying to come off as an Apple fanboy here, but I think my first impression of experiencing Apple retail can be translated to how everyone can better deal with customers and how to convey company culture. There is an old clich? that says you have one chance to make a first impression.? Those of you who are long-time Apple customers who visit an Apple store on a regular basis then you probably take it for granted how the store works and have long since forgotten your first time to one of these stores.?? I can only say it was an great experience and a completely positive one.? Had this first experience to the store been negative, I probably wouldn?t be writing this now. I had contacted Apple Support via their web site and made an appointment to see an Apple Genius about my iPhone.? This reminds me of making a doctor?s appointment. Large and spacious ? the store itself, unlike many retail stores in the mall, had plenty of room.? I didn?t have to bump into customers or employees.? As with many web applications I see, clutter is the norm ? full of ads and jamming as much content as possible in a small place.? Well designed web application have plenty of white space and don?t give me the impression I am at the carnival.? My favorite applications are cleanly designed, like lessaccounting.com. Very bright ? the store was very well-lit with lightly colored walls.? Comparing other stores in the mall, some are dimly lit and painted with dark colors.? I guess it is better to hid a poor product until the customer has left the store.? 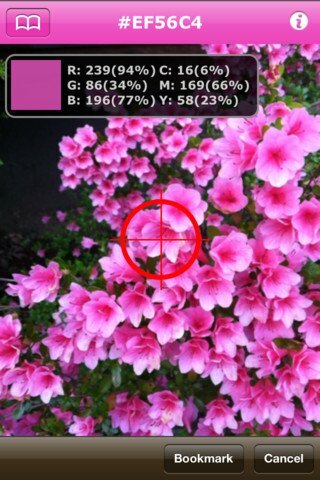 I like to apply design to my applications the same way, keeping colors light which are easy on the eyes.? I don?t like my users to have the experience they are visiting a dungeon. Lots of iPads, iPhones, MacBooks and iMacs with which to play ? Apple wants you to experience and appreciate their products.? When visiting the store you aren?t faced with endless glass display cases like you are visiting a computer museum, you get to actually touch and try-out any product you want.? My first experience with the iPad was at the store and this experience determined whether or not I was going to buy.? If users can?t try out your application how can they decide if they want to use it?? It is my policy to give users a full 30-days to try out my software before deciding if they want to continue.? Many sites give limited access to features until you cough up money. Genius bar looks like a bar, including bar stools ? upon entering the store and briefly looking around, I immediately knew where I needed to go to see my Apple Genius.? The store, as I mentioned, is laid out very cleanly with the Genius Bar (an actual bar as you recognize in any lounge) in the far back of the store, separated visually and physically from the rest of the store.? This makes it very clear where someone needs to go to get help.? This is exactly how web applications should be designed, make it very clear where users need to click to sign-up, cancel, get help, contact and any other function they may need.? How many times have you been to a web site and had to struggle to find an email address so you can contact someone at a site?? It is annoying and does not make me want to do business; keep the links and information readily available so [potential] users can find it. Lots of people to help you out – who also carry iPads to check-in people with appointments.? Nice way to demo the new iPad platform.? I think ?eating your own dog food? is essential.? If you don?t use the tool you create, how can you really know how people use it?? Apple uses their iPads to let the Geniuses know when an appointment has arrived or add folks who are just walk-ins to the queue.? This is free advertising for one; customers get to see people actually using an iPad for something other than a ?big iPod Touch?.? 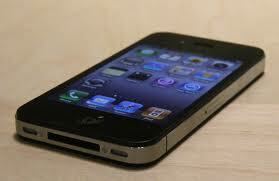 This also gives Apple feedback from the field for both the software, operating system and hardware perspective. Brilliant!? Use the applications you create. Don?t make me wait – Wait time was small even with a lot of people and dealing with the Genius was simple, no hassles and out in minutes. These were my initial impressions when visiting the Apple Store, all positive.? I can take away so much from the experience which I can then apply to my own business, my own products.? Apple has spent countless hours and piles of money to offer the experience they offer.? Why not take some lessons from them? Beyond my first impressions about the look and layout of the store, I think the real win in my mind was the great customer service experience.? I had in my mind, since my issue was not exactly reproducible on-demand, that Apple may tell me there was nothing wrong with my phone and send me on my way.? They could have just as easily pointed blame at one of the applications on the phone.? I was well-prepared to visit the Verizon Store in the mall and walk out with a new Motorola Droid running Android and say good-bye to the iPhone and AT&T forever. Genius takes phone, asks a few basic questions. Runs diagnostics on the phone, finds nothing. Offers to give me a new phone. There was no griping from the Genius, he instructions were clear, just make the customer happy.? I came expecting a fight and left with a new iPhone and a smile on my face. Isn?t this how we should treat all of our customers?? Customers have choices, they can buy our product or service from suppliers other than us.? It takes much effort to attract and keep people willing to give us their hard-earned money, so why not just agree to do whatever it takes to keep them.? This is a rule meant to be broken, we all have those customers that no matter what you do you cannot make them happy, these will always exist.? We do have plenty that are happy and just want good service, so think about it next time when you are just thinking of saving a buck and refuse service to your existing customer.? They will eventually go somewhere else. There are plenty of lessons to be learned here and not just from Apple.? Number one, first impressions are important, so please make your web application, store front or company presentable.? Make it reflect on you and how you want to be viewed, put your heart into it.? Number two, treat people and customers the way you want to be treated.? It is easy to think of the bottom line at a very superficial level and I think this will hurt your bottom line in the long run.